Putnam County Playhouse: "ANGEL STREET" IN SECOND WEEK!! "ANGEL STREET" IN SECOND WEEK!! 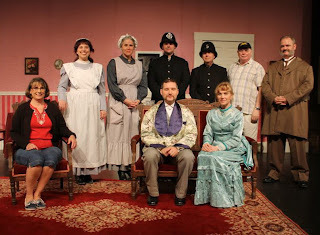 The Victorian thriller Angel Street (aka Gaslight) is in its second week of performances at the Hazel Day Longden Theatre. Angel Street is sponsored by Rossok & Co/Pekin Insurance. REMINDER: You can purchase tickets for The Drowsy Chaperone AND Harvey during the run of Angel Street. Who Is Who in "The Drowsy Chaperone"
"ANGEL STREET" TICKETS ON SALE NOW!